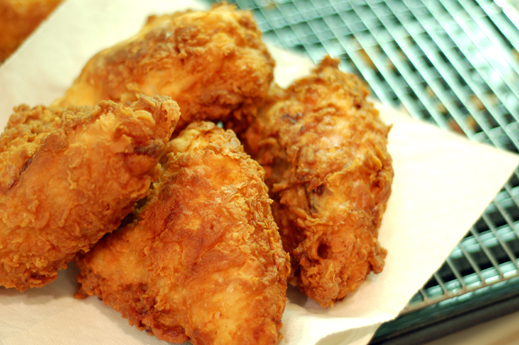 Today fried chicken means crispy breaded fried chicken. That is served at any of your favorite fast food restaurant. This has become the favorite of most Pinoys, not only for the kids but adults as well. 1 Mix salt, bread crumbs, and pepper together in a paper bag. 2 Drop 3 pieces of chicken in the bag and shake. Take it out and deep fry in hot oil until golden brown. Serve hot!